Robert Benchley said that a dog teaches a boy fidelity, perseverance, and to turn around three times before lying down. Henry Ward Beecher said that the dog was created especially for children, because he is the god of frolic. And we ALL know that little boys are made of frogs and snails and puppy dog tails. My youngest grandson, Owen, was looking out the door at our dog, Indie. I asked him to look at me so I could take a picture. Indie posed beautifully, don’t you think? Smiling, looking right at the camera. Owen went a little past center and ended up looking at my left knee. For five minutes before that he was standing and hitting the glass with both hands, making one-year-old noises through his pacifier, and having a great time in communion with our six-year old golden retriever. Owen loves Indie, and she thinks he’s pretty special, too. I am excited to be able to announce that registration is open for Antioch’s fourth national church conference, to be held September 12-14, 2014. Speakers include Jeff Akin, Eric Burd, Dr. Jeff Klick, Dr. Ryan Steenburg, J. Mark Fox, Scott Hahn, Shawn Curtis, and more! A Leadership Track on Friday afternoon will offer practical encouragement for church leaders and those who aspire to be. The cost of the conference is minimal, and free housing with Antioch families will be offered on a first-come, first-served basis. I look forward to meeting you in September, or renewing our fellowship. Go to http://www.antiochfic.myevent.com/ or click on the flyer for more info and to register! Please feel free to share this information with anyone you think may be interested. And they did. With apologies. I don’t believe that Paul was thinking about himself and about his wounded pride at being beaten unjustly. He certainly wasn’t “suing for damages” from the Roman government. It wasn’t about Paul at all. He took a stand for the sake of others’ freedom in the city to worship Jesus. He was thinking about Lydia, a slave girl, and a Philippian jailer. He would write to the church later, “Do nothing from selfish ambition or conceit, but in humility count others more significant than yourselves. Let each of you look not only to his own interests, but also to the interests of others.” That’s the question to ask before we play the protagonist in anything. Is this for me or for others? Make no mistake. There is a time to turn the other cheek when you’ve been slapped. There is a time to allow yourself to be wronged rather than take a brother to court. 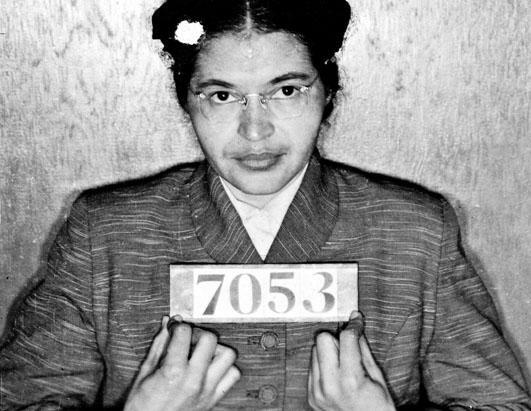 There is also a time to take a stand, or stay in your seat. Not to protect your own interests but to protect the interests of others. The Voice of the Future? I had the privilege of hearing Ben Carson speak again a few weeks ago in Virginia Beach. He challenged the graduating class of Regent University, some 1,400 strong, to make a difference in the world. Dr. Carson, now retired from neurosurgery, combined stories from his childhood with a sobering assessment of the state of the union. “We could very quickly become a third-world nation with the level of debt that we have,” he said. Carson described the dangerous mixture of fiscal irresponsibility and moral waywardness that threatens to take our country the way of the Roman Empire. One solution, Carson said, is to vote those out of office who keep voting to raise the debt ceiling. Carson also challenged the 7000 in the audience to refuse to give in to political correctness. “I am not politically correct,” he said, “so I am likely to offend someone.” The crowd cheered. Carson said that we have become too sensitive, and that if you believe in traditional marriage in this country, in the eyes of the politically correct that makes you a homophobe. If you believe in the right to life for every unborn child, that makes you someone who hates women. “And,” he said, “if you disagree with a progressive black person, you’re a racist.” Carson urged the crowd to learn to engage in civil dialogue, not name-calling, and learn to listen to the other side. We need to understand that disagreement between two people on any issue does not make them enemies. He quoted Jesus Christ who said, “A house divided against itself cannot stand.” Carson even encouraged the students read the works of those who, as he said, have tried to destroy the Judeo-Christian heritage of our nation. Saul Alinksy, for example, taught his ‘followers’ not to engage in conversation with those with whom they disagree, because that humanizes the person that you need instead to demonize. What’s next for the man most noted for being the first to successfully separate conjoined twins who were joined at the head? Dr. Carson continues to speak and write. His latest book is called, “One Nation.” He writes a column for The Washington Times. But The National Draft Ben Carson for President Committee has a second career in mind for the doctor. The super PAC has raised nearly $4 million as of March 31. There is also an online petition at runbenrun.org that is growing daily. We may be hearing a lot more speeches by Ben Carson. 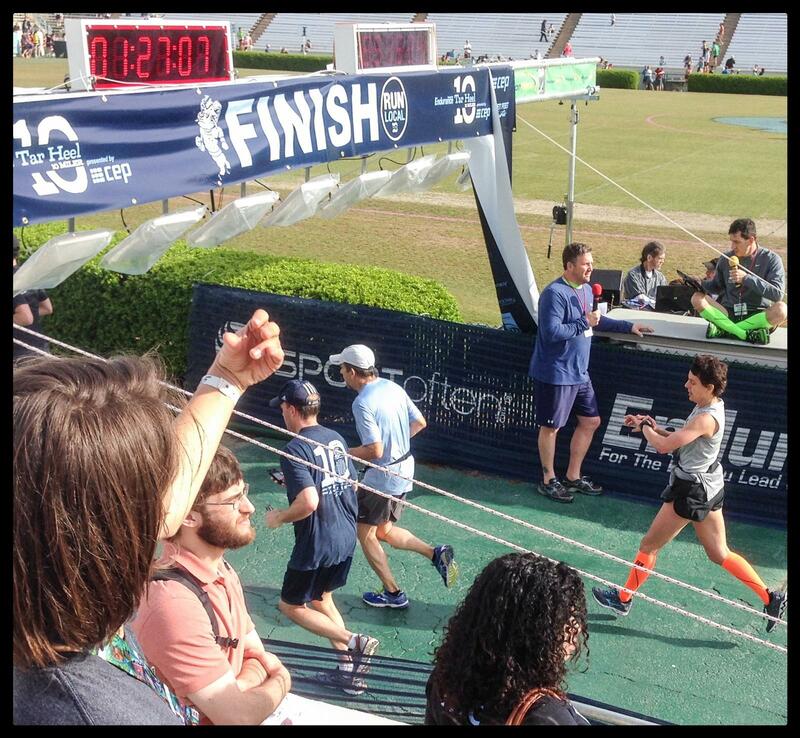 I got to run the Tar Heel Ten for the second time a few weeks ago. It’s one of my favorite races, mainly because it takes place in Chapel Hill. It’s usually near the end of April, so the dog woods and azaleas are blooming, and the course takes you through campus, down Franklin St, through some beautiful neighborhoods, and then into Kenan Stadium for the finish. Ten miles is a great distance, because it is not a sprint, like the 5K or even the 10K, but it doesn’t include quite as much pain as a half-marathon. I love it! My goal this time was to run less than an 8:30 pace per mile, since that was what I did the first time. So I figured I would start with the 8 mile pacers and hang with them as long as I could, making sure that I finished well ahead of the 8:30 guys. It was not a smart plan, for two reasons. First, I was fighting a sinus infection and had a head full, and was still coughing some, too. Second, it wasn’t smart because I am not used to training at 8 minute pace. Most of my training is at 8:30, and when I really go for it, I have been able to get down to around 8:10 or 8:15. I was starting to drag at around mile 7 or so, and that’s about the time that David Bainbridge caught me. He’s a good friend and a fellow church member. He told me he had been trying for about 4 miles to catch me, and I told him I was amazed that I was ever ahead of him to begin with! But, that was the problem; I started out too fast, which is a common mistake with runners. And by the time David caught me, I was paying for it. But we ran together for a while…until we got to Laurel Hill. The Tar Heel Ten is not just known for the beautiful scenery; it is known for the brutal hill at about mile 8.5. It is a steady climb, then a plateau, another climb, and then a downhill. You think you’re in the clear and then there is another hill to climb. It’s nasty. And to add an extra challenge, the race organizers time you on the hill! When you get your results at the end, it includes your overall time, and your “Laurel Hill climb-time.” Not funny. Anyway, David left me on the hill; I was dragging. But then after the hill was done, I looked ahead and there he was: waiting for me! I caught up and said, “David, you didn’t have to wait for me.” He laughed it off and said, “Hey, I wanted to run WITH you!” We finished the race together, as you can see from the picture. He’s the stronger, younger runner on the left, in the darker blue. That about sums it up. Then I thought….if the shoe were on the other foot, would I have done the same? I think I would. I hope so, anyway. Thanks, David. You taught me the best thing I learned that day in Chapel Hill. That tells me two things. Number one, don’t get sick in Mississippi, whatever you do. Number two, when the one you thought was dead is now alive and well, you are going to rejoice and be in shock all at the same time. That’s the way it was for the women who went to the tomb on that great getting-up morning outside of Jerusalem in circa 33A.D. The stone they expected to see blocking the tomb, and that they were trying to figure how they were going to move…was rolled away. Surprise number one. Then, the body they expected to find, which they had come to anoint, was not there. Surprise number two. I love the angel’s question for the women as recorded by Luke: “Why do you seek the living among the dead?” The truth is, they WEREN’T seeking the living among the dead. They were seeking the DEAD among the dead! But Jesus was not there. The tomb was empty. Not only that, the angel said that Jesus would meet them, and the disciples, in Galilee. Surprise number three. The tomb was not empty because someone had stolen the body. 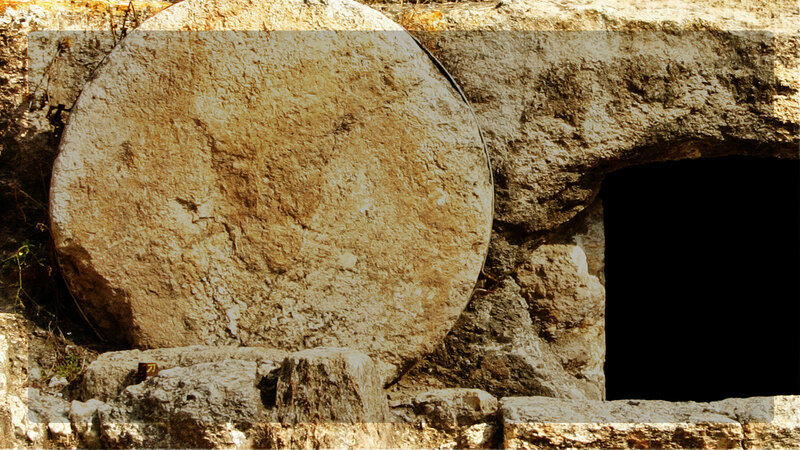 The tomb was empty because Jesus is alive.